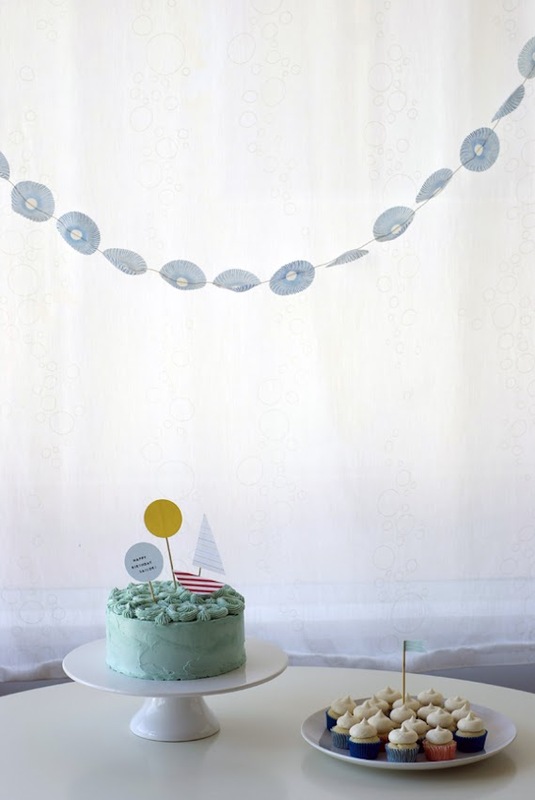 Make a sweet and easy garland using about 24 mini cupcake liners. 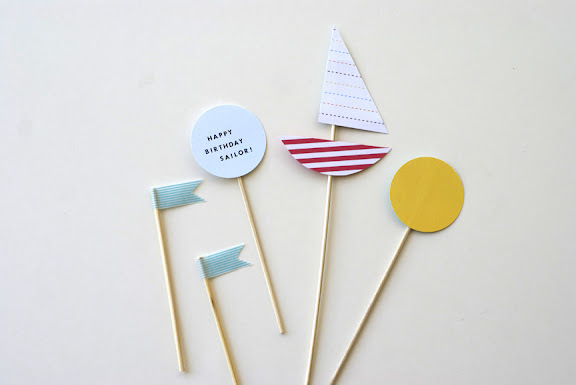 Make some cute sailboat themed toppers using craft paper, wooden skewers and washi tape! 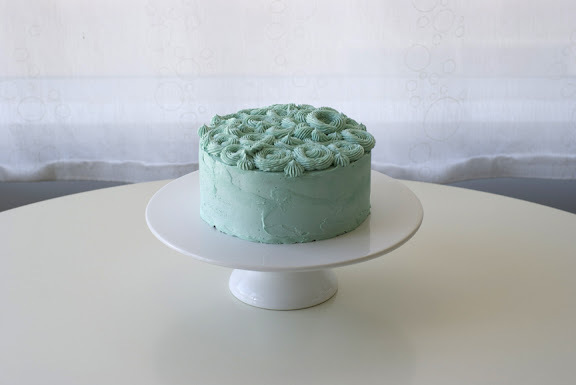 Pipe your cake with a wavy buttercream ocean top! Now, party all day and sleep all night! (that’s the dream of the new moms!) 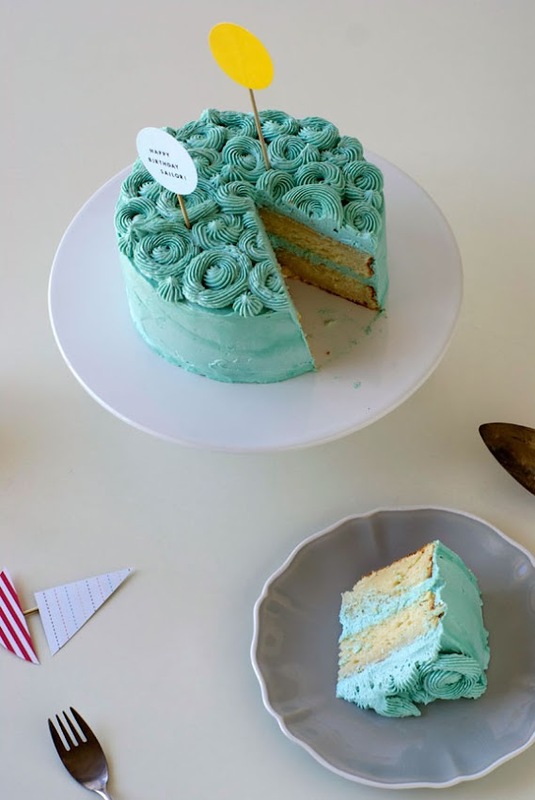 I’ll have a medium-large slice, please! Muffin top for-eva! 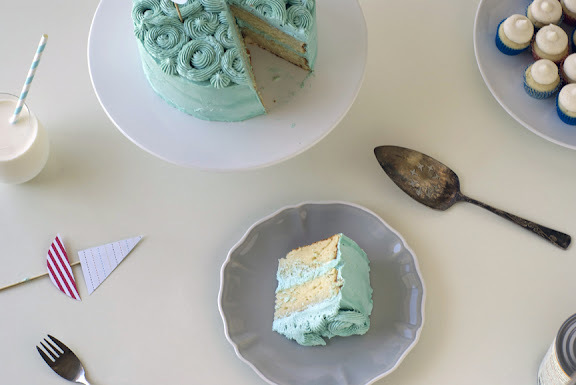 You can read more about this ridiculously easy party idea over on my guest post at the awesome blog You Are My Fave! 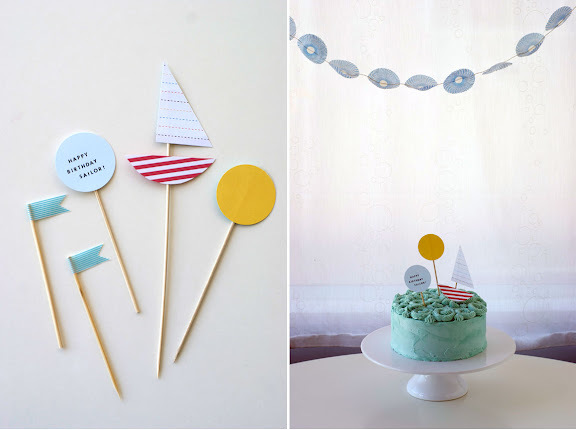 I love the garland and the cake – great ideas! This is fabulous. 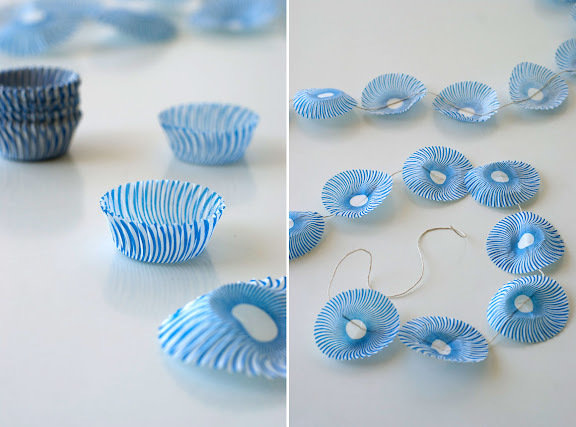 The muffin wrapper garland is genius too. I don’t have those type of wrappers, will regular do? 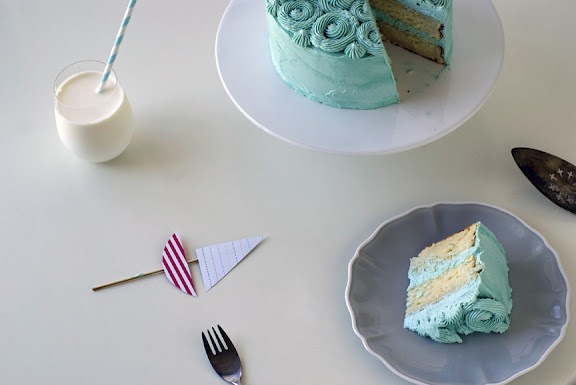 This cake is a dream. 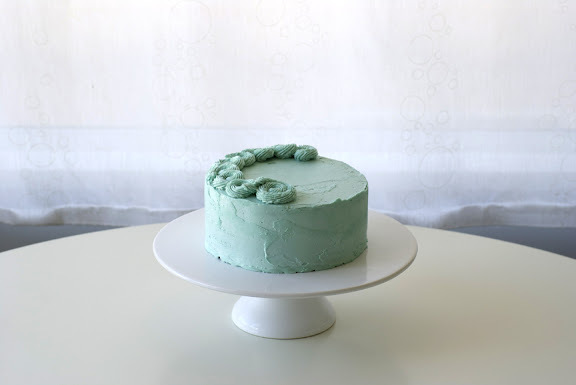 Delicious post :P The cake looks amazing! 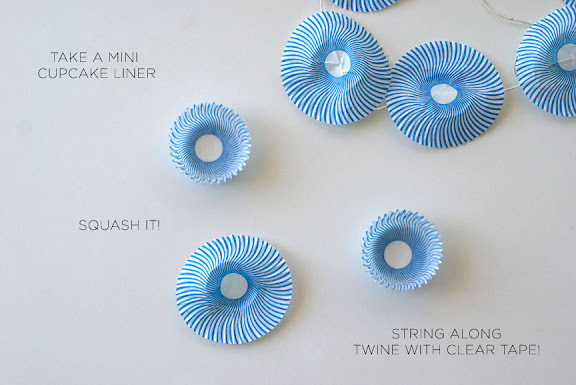 @trina, sure any cupcake liners would do – i used this particular one because of the white centers, which gives it that flowery look! thanks for your comments! 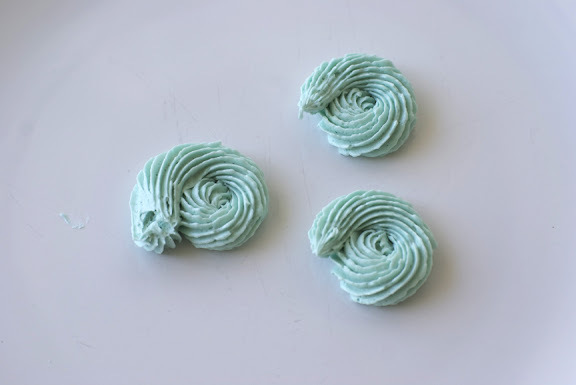 That wavy buttercream ocean is brilliant! It almost looks like it’s moving. 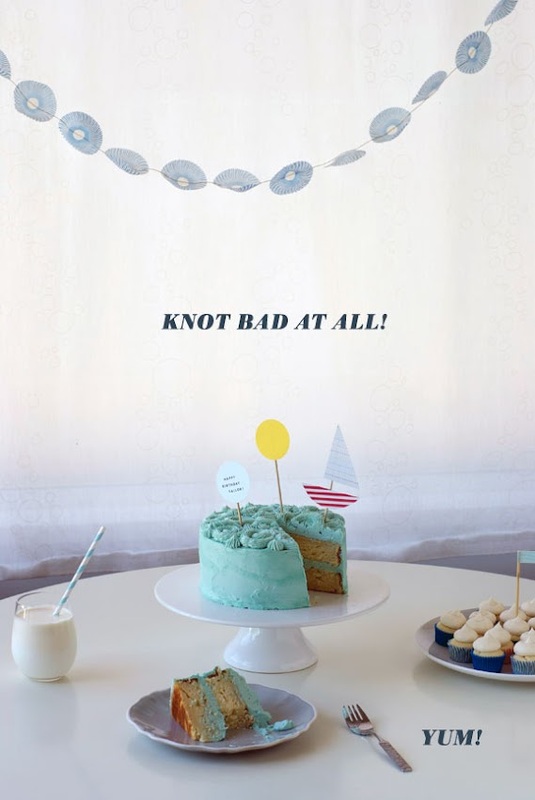 ;) Cute garland and toppers, too!